Sustainable drone applications in social good sectors such as humanitarian aid, development, conservation and agriculture start out with a good understanding of local needs and stakeholders. 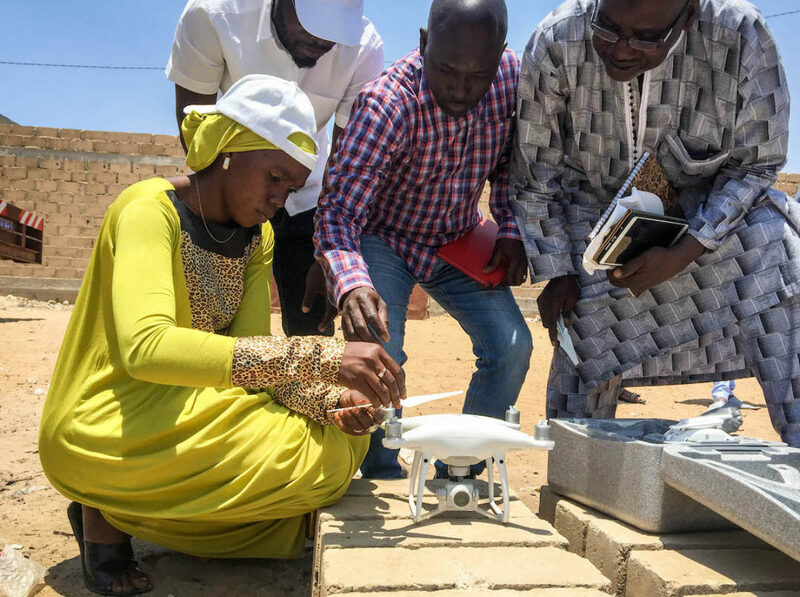 Senegal is an important hub for development, also regionally in Western Africa, and introducing the discussion on how drones can support existing social sector activities and development will allow for a common understanding between a wide group of stakeholders. 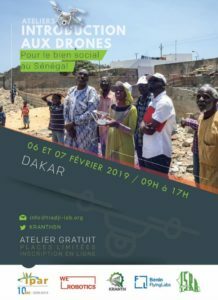 After successful Co-Creation sessions in Benin earlier this year and to start such a discussion in Senegal, WeRobotics has teamed up with Benin Flying Labs and the Senegalese social enterprise KRANTH to co-organize a Co-Creation workshop over one and a half days in Dakar. Leading organizations IPAR and ISRA have joined the co-organizers as official partners for this workshop and will bring in their longstanding local expertise to guide the discussions. The goal of this 1 and a half day of Co-Creation sessions is to kick-off a discussion and shine a light on the local ecosystem of various stakeholders already using drones or showing interest in using them. While Wednesday morning will be dedicated to introductory presentations to set the frame for the workshop, Wednesday afternoon and Thursday morning will be the core moments where participants will work in thematic groups, identifying their needs and discussing possible solutions as well as challenges. The workshop will then finish on Wednesday noon with a common understanding of identified needs, possible solutions and challenges and a phrasing of next steps. In essence, this workshop is only a very first step, to be followed up with next activities defined by the local stakeholders. The detailed program is available here. You can register by using this link until mid-January 2019. In order to keep the discussions efficient, the number of participants has been limited and all participants will be informed of the status of their registration by mid-January 2019. We very much look forward to this first WeRobotics Co-Creation workshop in Senegal and are very grateful to our local organizers and partners for their support and collaboration that is vital for the success of this event.